Hair loss is a natural part of the lifecycle. It is something you can change it. We provide men hair wigs and best quality of hair. Delhihairloss are supplying and manufacturing exporting an exclusive collection of men hair system. We are presenting a new products in our products range that is different types of men hair wigs. The peoples are facing different hair loss problems. 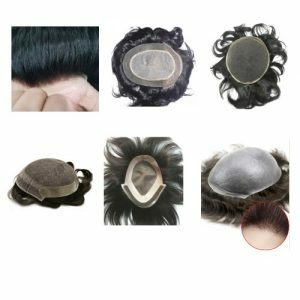 Whether do you want long hair wigs systems, short hair toupee system, hair wig system can immediately provide you without any additional expenses. Delhi hair loss is giving 100% human hair wigs. Men hair systems are extremely easy to use and help men to avoid the embarrassment. They might face due to their baldheads. Delhihairloss offers a great collection of different types and styles of men’s toupee that can help cover different visible sections of the scalp in an easy method. This provides the natural look to person stylishness. Browse through the product list under this section on delhihairloss. Find a look-around tailored to your unique style and budget.